At Lake Erie Dental, we are committed to providing our patients with a welcoming environment where they can receive high-quality dental care. This is our way of improving the health of our patients, as well as their appearance and self-confidence. Family dentist Kevin R. Sambuchino, DMD, at Lake Erie Dental, practices a full scope of general, restorative, and cosmetic dentistry. Dr. Sambuchino can correct a wide variety of cosmetic dental problems and even redesign your smile with a complete smile makeover using treatments such as veneers, teeth whitening, crowns, bridges, and dental implants. He also specializes in Botox Cosmetic and dermal fillers. When gum recession occurs, the root structure of the tooth becomes exposed. Dr. Sambuchino provides solutions including the Chao Pinhole® Surgical Technique and gum laser surgery. He also provides orthodontic treatment, including an in-office version of Invisalign invisible braces that can save you both time and money. When you experience a dental emergency, you need someone to help immediately. Here at Lake Erie Dental, we make every effort to see you that day. At Lake Erie Dental, our patients and their oral health are our biggest priorities. Call us today to schedule an appointment! Additionally, he has studied the latest techniques in cosmetic dentistry with several renowned dentists from across the country. Dr. Sambuchino has completed continuing education on Invisalign and certification in advanced Invisalign techniques. Dr. Sambuchino continues to study innovations in dentistry to maintain the highest standard of care. He is a board-certified general dentist, who is also certified in nitrous oxide sedation. Dr. Sambuchino is one of the first 50 dentists in North America using the most advanced Deka CO2 laser. By integrating lasers into his practice, he has been able to offer patients quick, painless solutions to problems that otherwise would require painful surgery. 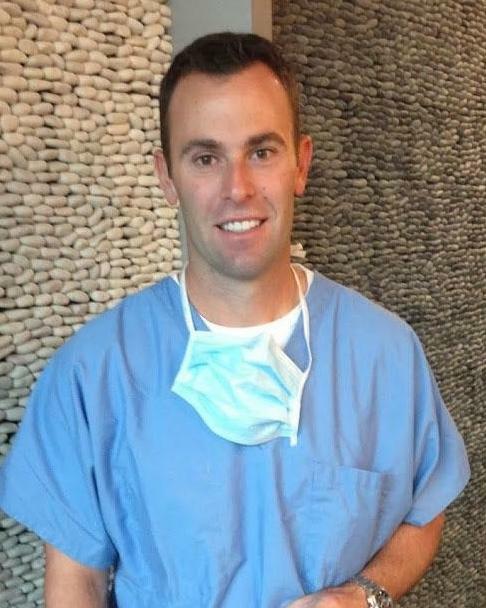 He has spent time studying with Dr. John Chao in Los Angeles to become certified in the Chao pinhole periodontal technique to correct receding gums. This new technique allows for a painless solution to receding gums, that can replace the older procedure of gum grafting. Dr. Sambuchino has also studied 3D printing and imaging to allow him to move teeth digitally and print aligners for quick and easy orthodontics for his patients. This 3D technology has also enabled him to place dental implants with the highest level of accuracy and safety possible. He is working with the newest technologies that allow him to perform implant surgeries without pain and swelling. This is only possible with laser-assisted implant placement. He is now able to complete all of his surgeries without a scalpel with the help of lasers. These techniques significantly reduce swelling, pain and healing time. A talented cosmetic dentist, Dr. Sambuchino has an acute eye for designing smile makeovers. He can create smiles that are so natural it’s virtually impossible to determine which teeth he has restored. This is apparent when you examine his case photos depicting his before-and-after smile restorations. He loves being able to help people improve their smile, which instantly boosts their confidence. Dr. Sambuchino would like to welcome his existing as well as new patients to his website. He hopes that the information presented will help patients gain knowledge and understanding of what he feels is the most comprehensive form of dental health. Kerry notes that her 15 years with Dr. Sambuchino have flown by, saying she is grateful to have had the opportunity to assist such a phenomenal cosmetic dentist. Kerry loves being part of a dental team that allows her to make smiles better and often transform people’s quality of life. She enjoys the fast-paced days and having the opportunity to learn new techniques and technology. Originally from Cambridge Springs, Pennsylvania, Kerry is the wife of a “great husband” and two canine companions. An avid runner, she usually starts her day off with a morning run in the country with her pups. Kerry loves the outdoors and enjoys camping, hiking, and kayaking through the Alleghany National Forest. Closer to home, she enjoys cooking and gardening around the house and spending time with family. Sue received her training as a registered dental assistant at the University of Southern California. Originally from Canton, Ohio, Sue has kept up with advancements in the dental field by taking courses regularly throughout her nearly 30-year career working in a dental office (13 of those with Lake Erie Dental). She is happy to have chosen this career, she says, and loving what she does makes it easy to go to work every day. Sue particularly enjoys it when a patient who hasn’t smiled much in the past does so now because of a smile makeover or other dental work. In her free time, Sue can probably be found outdoors, fishing with her husband Wes, riding on his motorcycle, or hanging out with him and their two dogs, Sadie and Belle. Julie has a degree from Mercyhurst University in medical office management. Originally from Corry, Pennsylvania, she enjoys being able to work with people and helping them with their insurance needs. She has been with Lake Erie Dental for nearly a decade. Outside the office, Julie enjoys biking, walking, hiking, snowmobiling, cooking, baking, and spending time with her husband and daughter. Canton, Ohio, native Bethany went to the Great Lakes Institute of Technology for dental assisting. She has enjoyed working with Dr. Sambuchino for more than four years because he stays up-to-date with the latest dental techniques, which she appreciates learning. Bethany also finds it rewarding to be able to help patients achieve a beautiful smile and teaching them the importance of proper oral care. When she is not at work, Bethany might be scrapbooking, sewing, fishing, working out, or hanging out with friends and family. When she’s enjoying the leisure portion of her semi-retirement, DJ is likely camping, going to sporting events with her grandchildren, or spending time with family and friends. Morgan received an Associates of Arts in Dental Hygiene from Iowa Central in Fort Dodge, Iowa, and an Associates of Science from Solano Community College in Fairfield, California. With Lake Erie Dental for just about a year, she enjoys working with all types of people on a daily basis, helping to improve their oral hygiene. She cites the best part of her job as knowing she is making a difference in her patients’ oral health. This Carlisle, Iowa, native has two Siberian Huskies who love to go on hikes and bike rides. Morgan and her husband are avid outdoor enthusiasts who like skiing and snowboarding, paddle-boarding, camping, hiking, and biking.